by CHLOE. 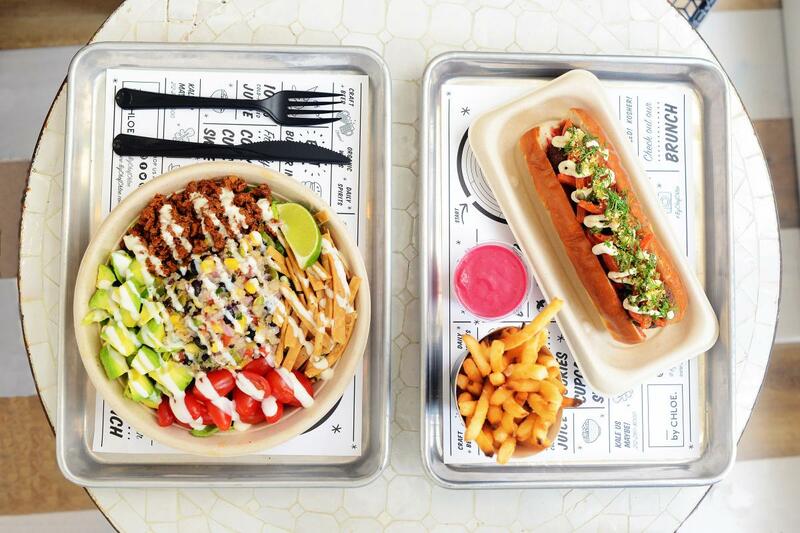 is changing the vibe of vegan fare in Boston. If you’ve heard anything about by CHLOE. 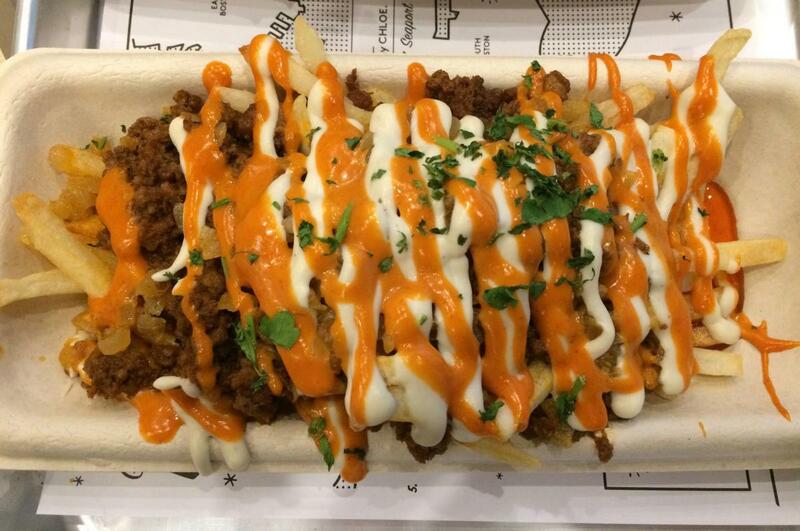 yet, you’ve probably heard that it’s a vegan restaurant from New York City. But don’t let that deter you. While “vegan” can be an intimidating term for omnivores dining out, by CHLOE. delivers hearty, real food with big flavor. 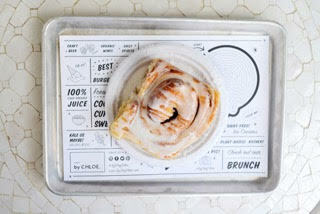 Unlike other local vegetarian and vegan standouts such as Life Alive and Whole Heart Provisions, by CHLOE. is appealing to a non-greens-loving audience just as much as it is to the health-conscious. Those who already love vegan food will be tantalized by the rich touches like shiitake “bacon” and almond “parm” in the kale caesar salad, while vegan neophytes — or even detractors — will be converted by the Guac Burger (pictured above) and the Oh-so-fancy Fries, a “secret” menu item slathered in spicy seitan “chorizo”, chipotle aioli, and crema, that you must know about to order (and it’s worth knowing about!). Now, don’t go thinking that by CHLOE. is all about mimicking meat for the meatless. Part of its innovative edge is undoubtedly attributed to its young president, founder and creative director, Samantha Wasser. In my insightful conversation with Wasser, she told me that the focus is on whole foods and “taking whole ingredients that you might be eating in a salad or another way and reinventing them in a different way.” The menu isn’t built for calorie counting. The healthful nature of the food comes from the way it’s handled. Wasser says “We don’t stress nutrition facts as much as eating whole foods and whole ingredients. Everything is made from scratch.” That quality and consistency show through in the fact that the Guac Burger I enjoyed in Manhattan last year, and the one I had in the Seaport last week were identical, and identically satisfying. Wasser credits this to the amazing corporate chefs who oversee all of the production and train young talent to produce everything to the high by CHLOE. standards. These cupcakes have starred on TV (sort of). 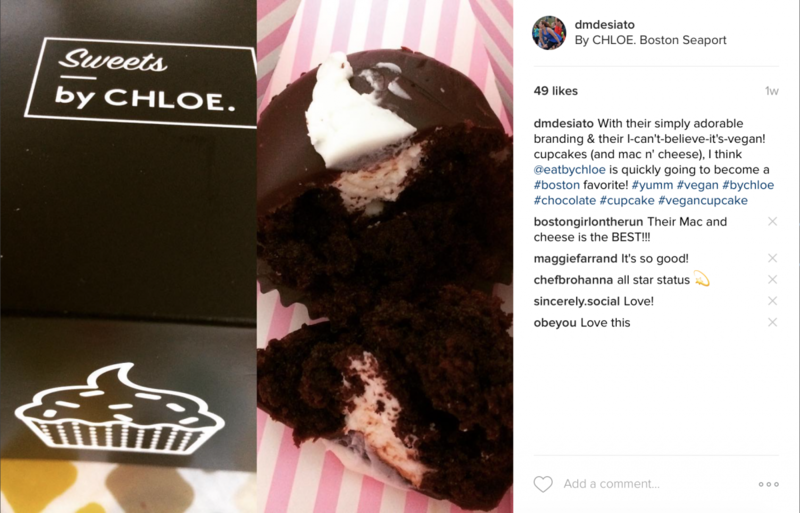 Chloe Coscarelli, the former co-founder of by CHLOE., became known back in 2010 as the first vegan baker to win Cupcake Wars on the Food Network. So, it’s no wonder that the sweets have been a prominent feature of the chain, which includes a standalone bakery in Manhattan. Trust me, these confections aren’t just “good for being vegan” they’re really freaking good. Even my dining companion with the unfailing sweet tooth couldn’t distinguish the by CHLOE. chocolate chip cookie from my homemade variety. You’d think that would make me sad, but it just makes me want to go back to by CHLOE. for more cookies. Personally, I’m hoping the by CHLOE. team is looking for a spot in Boston to open one of their sweet shops. The other noteworthy, and often discussed feature of the by CHLOE. brand is the branding itself, which Wasser has overseen from day one. She said she wanted to create something she hadn’t seen before, something that cut through the noise. “Not green, like other salad brands, but more like a fashion brand. I wanted it to speak to a larger audience, not just vegan or kosher, but all types. Our brand is very kitschy and playful. Vegan can be very intimidating and I wanted something that was more approachable, a brand that felt current but also iconic.” Since its inception in 2015, by CHLOE. has gained such a huge following largely because of Instagram, and the “Instagramability” of the food. I have to admit, I’ve done it myself. One perk of a freelance lifestyle is that I get to avoid the busy times when I’m exploring for an article, but even on a Monday evening and a Wednesday afternoon, there's a steady stream of customers filling up the large, open space. 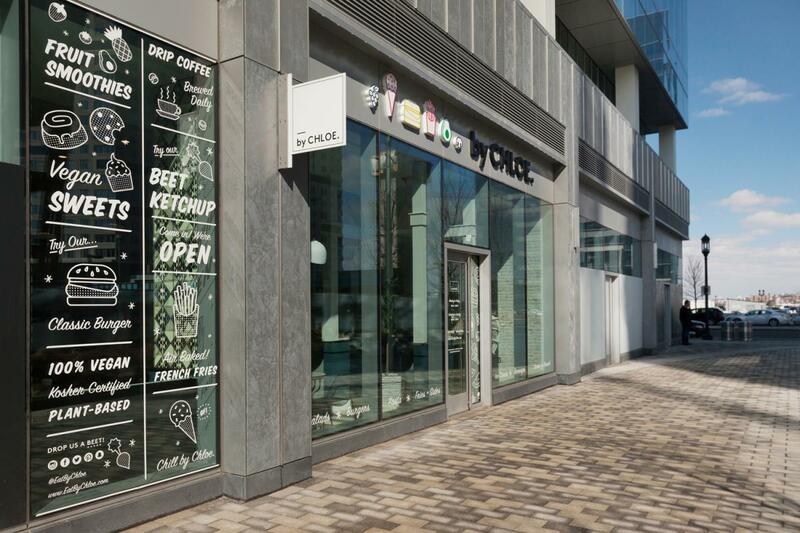 It’s relaxed with an upscale feel that fits in perfectly with the revamped Seaport neighborhood. There are a few special menu items debuted specifically for the Seaport location. Wasser said, "Each city wants to feel special and have their own items that New York does’t have." 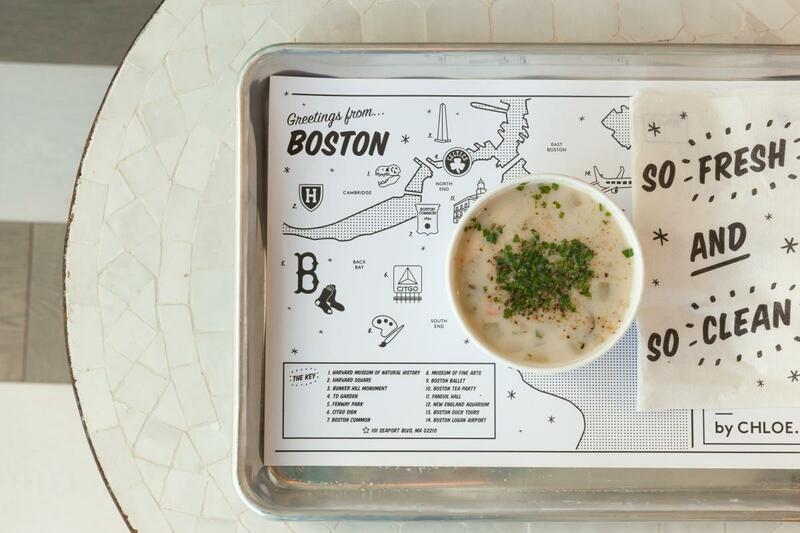 Boston cream pie-themed sweets are a no-brainer and the "clam" chowder, developed by contributing vegan chef Candice Hutchings, is a unique take on the New England staple. The only disappointment I came across was the “lobster roll.” It’s a hidden menu item, so you have to know to ask for it, and unfortunately, I wouldn’t bother. While the hearts of palm give it almost-believable texture, the extreme tanginess was off putting. Save that splurge for real lobster and mayo at one of the many seafood restaurants in the neighborhood, and go to by CHLOE. for just about everything else – especially the sweets! If the Seaport is a little out of the way for your daily travels, you’ll soon be able to get by CHLOE. before a Red Sox game. 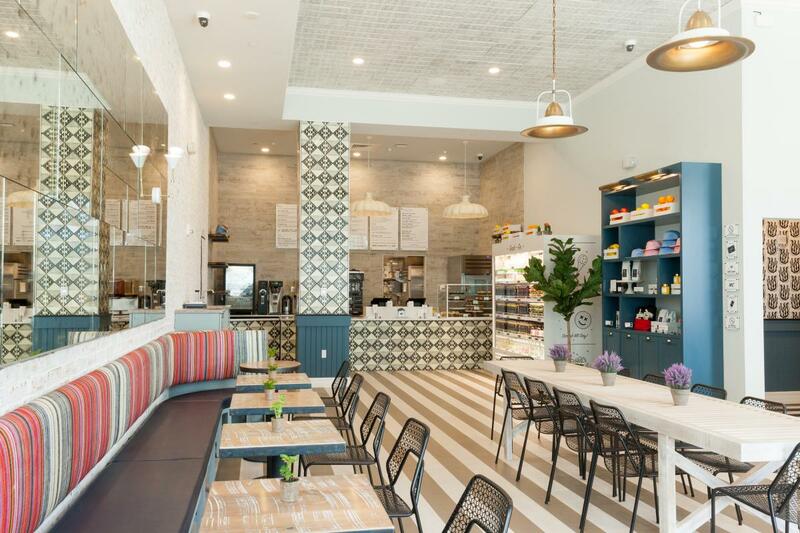 While burgers and high prices fit perfectly in the Fenway neighborhood, by CHLOE. is offering something more unique — personality. Look for a unique Red Sox or Fenway-themed menu item when they open this spring. You just might be surprised at how much cheering energy this hearty, plant-powered food will you give you.